If you're on the East Coast, or really anywhere in the country that has a computer, you probably heard about the 2017 Disc Golf Experience At Pocono Raceway. This was the second installation of an awesome event designed and orchestrated by Mr. Disc Golf himself, Mike Solt, and allowed players to experience two 18-hole temp courses set up on the track and in the stands. Bobby, Jeremy, Eric, and Robert jumped on a plane and headed up to Pennsylvania where, along with some usual funny business, they got to see the event first-hand. 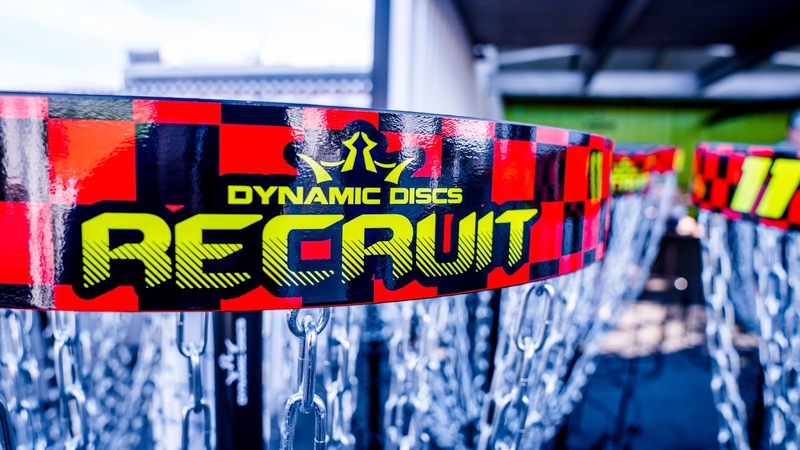 Attendees included die-hard disc golfers as well as race aficionados who wanted to see what the fun was all about. Both courses provided a collection of challenging shots as players weaved in and around the Pocono Raceway, and finished with the chance to throw a massive drive off the tower. All in all, over 300 people came out to the event, and Mike was incredibly thrilled with the good vibes and great time that was had by all. Check out the vlog video below and be sure to stay on the lookout for future Disc Golf Experience events near you!